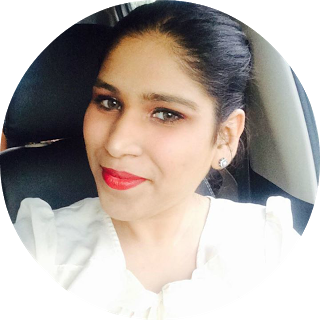 It’s time for the backstage trend to take center stage as Lakme introduces its very own playful take on lip tints. 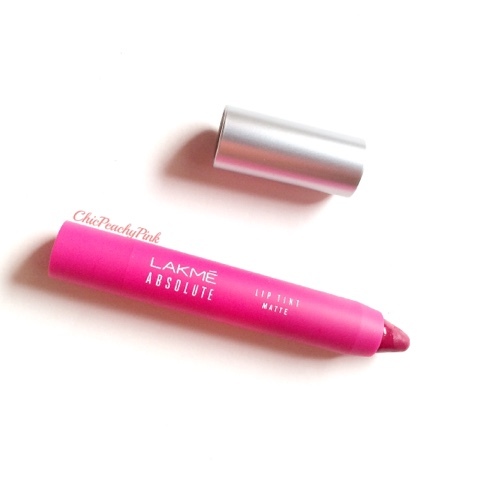 Say hello to Lakmé Absolute Lip Pouts - a chubby lip colour pencil that gives you a luscious tint with a scintillating matte finish. 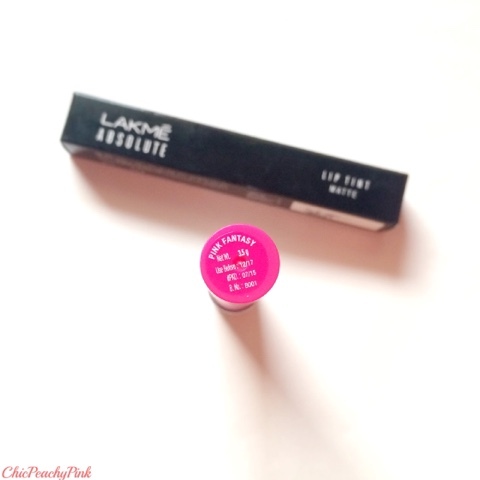 Available in 6 classic matte colours, Lakme Absolute Lip Pouts is your go-to lip tint for that effortlessly vibrant and playful look. The first look of the lip tint really impressed me cause of the matte twist up crayon packaging it had which matched the color of the product inside. This range has 6 color options to choose from out of which I chose Pink Fantasy which is a cool toned pink. This color is a one of the prettiest pinks I own and have already been complimented a couple of times when I wore it. 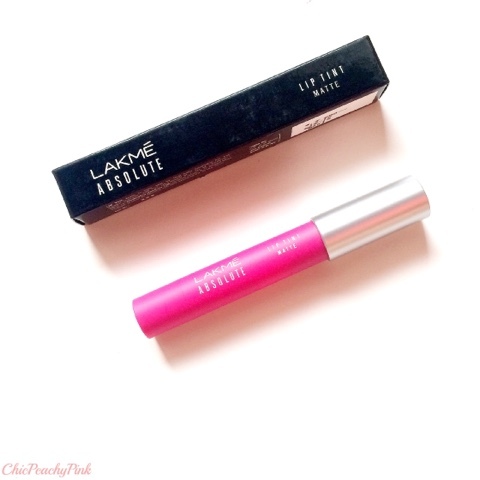 The lip tints are very pigmented and give full coverage to my pigmented lips in just two swipes. Even after fading it tends to leave a discreet stain on the lips. 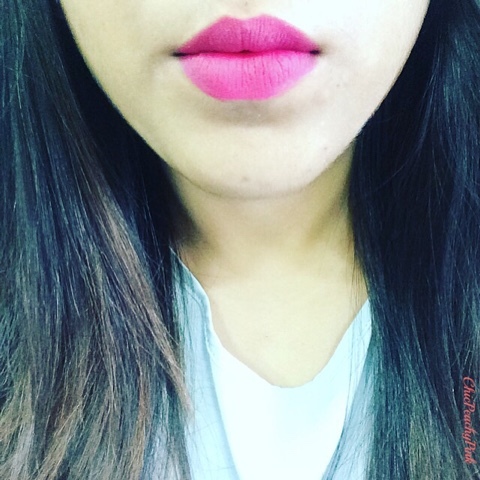 The staying power of this lipstick is nearly 6-7 hours after which it tends to fade a bit and the fading is rather even making it perfect for office wear. Honestly speaking the formula it had to offer could have been a bit better, as it is a bit drying and highlightes dry patches and fine lines. So you need to prep your lips before applying the product. However, this formula makes the product last longer as the product does not smudge or budge and is negligibly transferable. I would have got this lip tint anyway but the price factor made the decision easier as a couple of other lip crayons in the market that I am fond of are priced much higher than this. Overall verdict: All in all a great lip tint mainly cause of the shades it has to offer which compliment sunkissed skin tones well and the staying power is simply marvelous. I love the name and the shade as well........ looks awesome on your lips! This is such a hot shade! Hot shade! <3 added to wish list. Its one of their best sellers do try it! I like that it is bright yet cool toned which makes it perfect! Wow, this is real pink! Honestly I love such intensive pinks and therefore thank you for testing and sharing the product review. Nice lip swatch. Color looks so awesome ! Very pretty shade. Wishing they add some neutral and brown shades to the collection. Wow it looks so cute and very pinky. 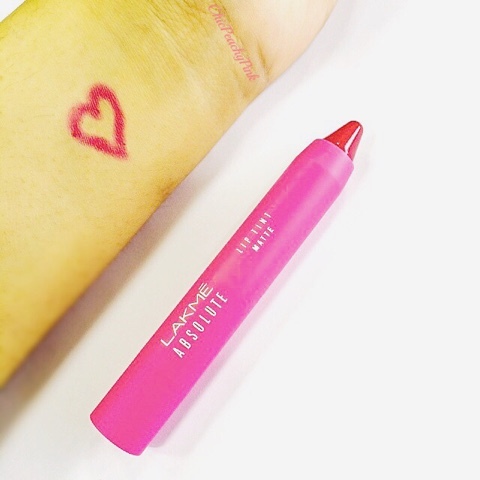 Such a beautiful pink shade and it looks totally gorgeous on your lips, girl. I loved how the shade looks on you! 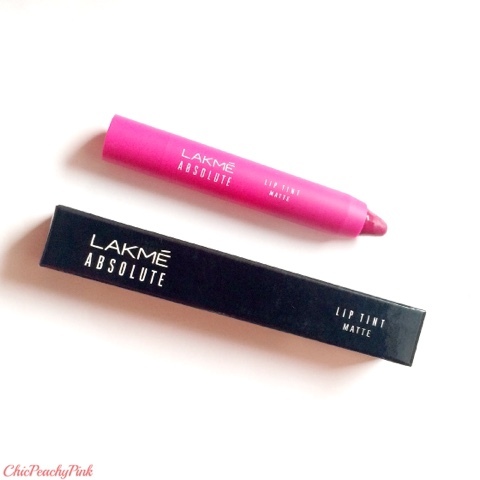 Lakme has really nailed it with these crayons!! I am yet to try my hands on them !! 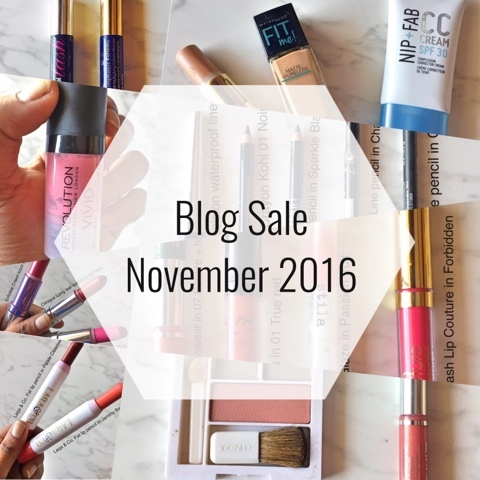 Will get either this shade or Victorian Rose :) Great post !! Beautiful colour, I am yet to try this range. What a fun happy color! Such a pretty color dear.. looks great.. The shade looks like MAC's girl about town. I will definitely try this range..thanks for the review. Such a pretty color!! Can't wait to own it:) Thank you for sharing!! The color looks so pretty on you! The colour looks great on you.. I love this lipstick :) One of my fav lipsticks they are.